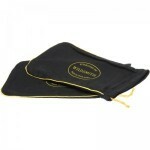 This pair of shoe bags is made from brushed cotton with the addition of contrast piping and a contrast lace. 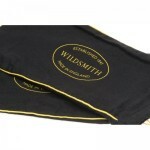 These are included as standard when you buy a pair of Wildsmith shoes. They measure approximately 19cm x 37cm.